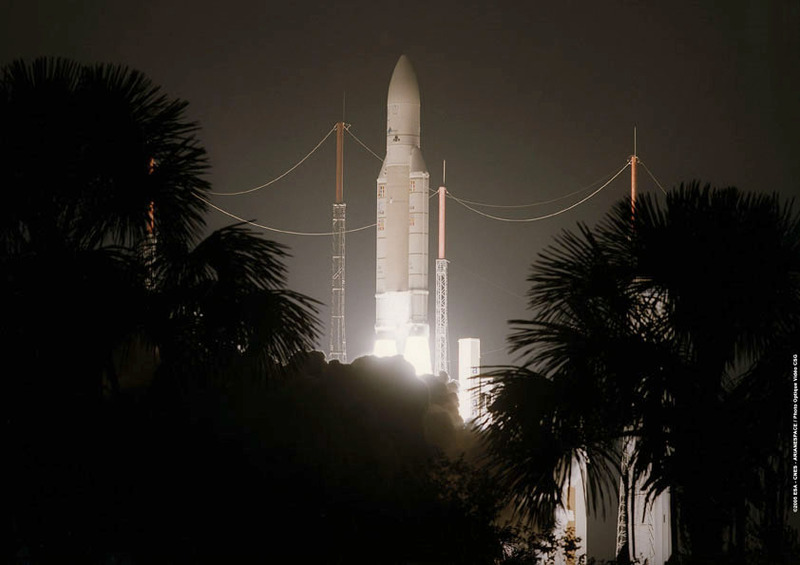 Teams at the Toulouse Space Centre have successfully positioned the Syracuse 3A military telecommunications satellite, launched by an Ariane 5 GS vehicle during the night of 13 to 14 October 2005 from the Guiana Space Centre for the French ministry of defence. 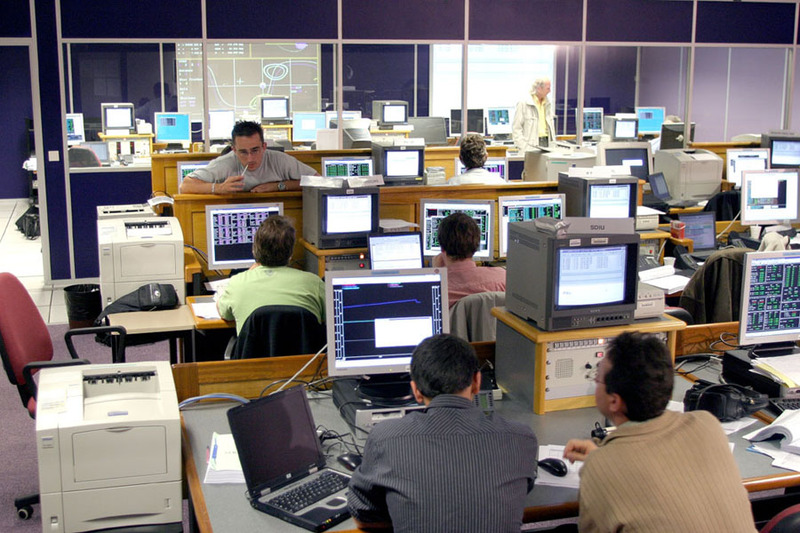 After its launch by Ariane 5 into geostationary transfert orbit, positioning operations consisted in taking Syracuse 3A to its allocated geostationary orbital slot at an altitude of 36,000 km. 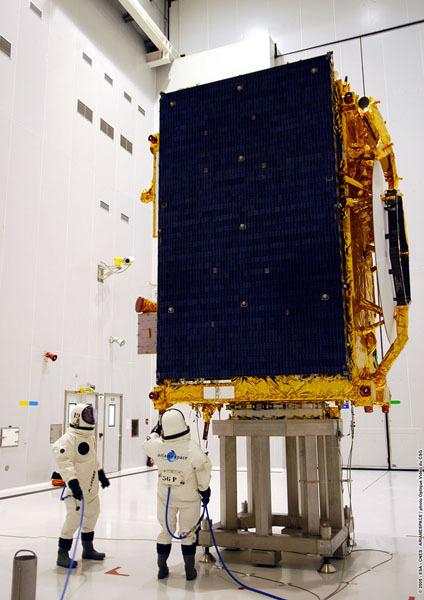 With more than 57 successful satellite positioning missions already to its credit, 42 of them involving geostationary satellites, CNES took charge of positioning operations for Syracuse 3A on behalf of satellite prime contractor Alcatel Alenia Space. 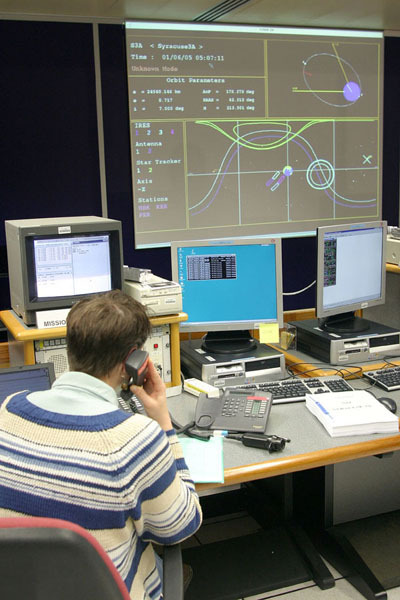 These operations were performed by a joint CNES-Alcatel Alenia Space team. The particularly complex 10-day positioning phase is crucial to mission success, as it must be as short as possible to conserve fuel and maximize the satellite’s operational service life. Syracuse 3A was acquired by CNES immediately after separation from the launch vehicle. Positioning the satellite involved 3 manoeuvres at the apogee of the Ariane 5 geostationary transfer orbit. To this end, the satellite’s apogee motor was fired at very precise times to raise the perigee and correct the inclination. Once in its final orbital slot, Syracuse 3A was configured to commence operations, with its apogee motor isolated and solar panels fully deployed. Syracuse 3A is now operational and on station. 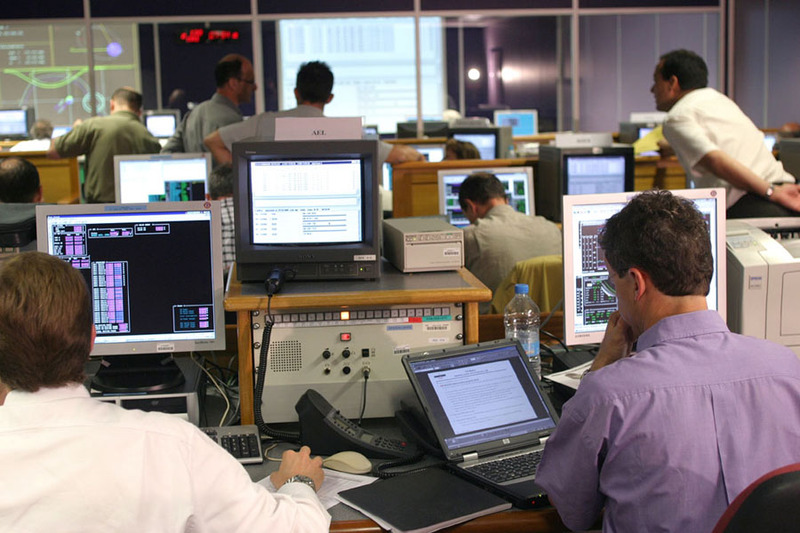 It will operate for at least 12 years and will be followed in 2006 by its twin satellite Syracuse 3B, giving France a complete new-generation military space telecommunications system.